With the release of Instagram 4.1, one can now take pre-recorded video from your iDevice’s camera roll, and upload it to Instagram. This was possible prior to today, but required an ingenious ‘hack’, which is no longer relevant, obviously. However, due to the limitations inherent in an un-jailbroken iDevice’s filesystem, it is still a bit of a task to get pre-recorded, pre-produced video on to Instagram without having the intervening stages mess things up, i.e. we need to skip iPhoto entirely. So, with that, here is how I do it. This article assumes that the source video has been captured and prepared, i.e. recorded from a high-quality camera (video DSLR, Red Epic, etc…), and subsequently edited down in your choice of video editing software, be it Adobe Premiere or Final Cut Pro. S3 bucket, Dropbox, or FTP server space to place the rendered file. 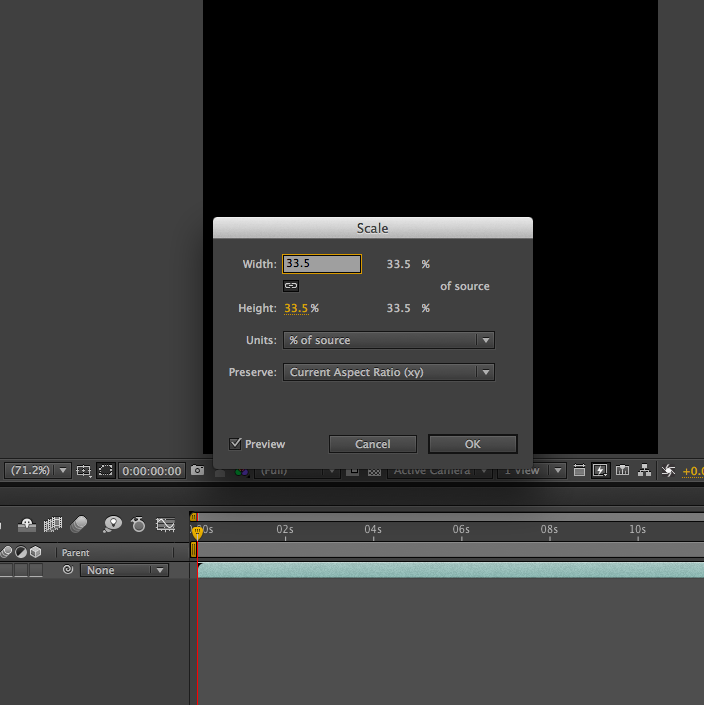 The first step is to properly prepare your rendered video in After Effects. 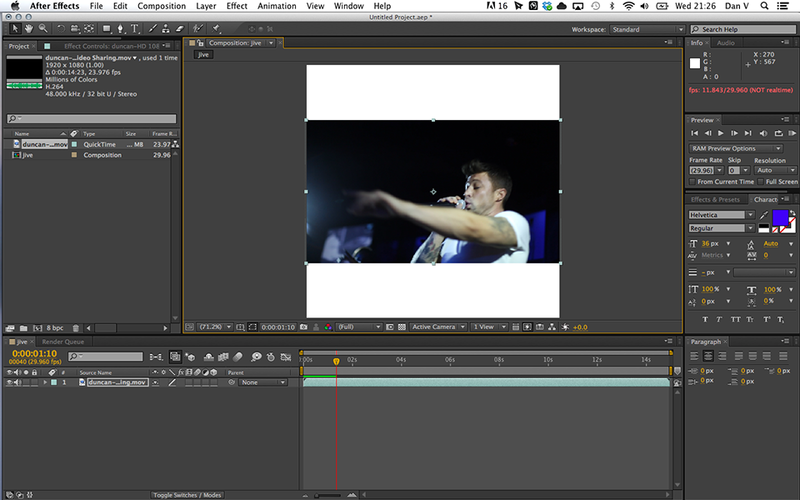 In After Effects, you can crop or resize it to fill up the full square (boring, in my opinion), or keep the video’s original aspect ratio and letterbox it within the square. I usually choose the latter. 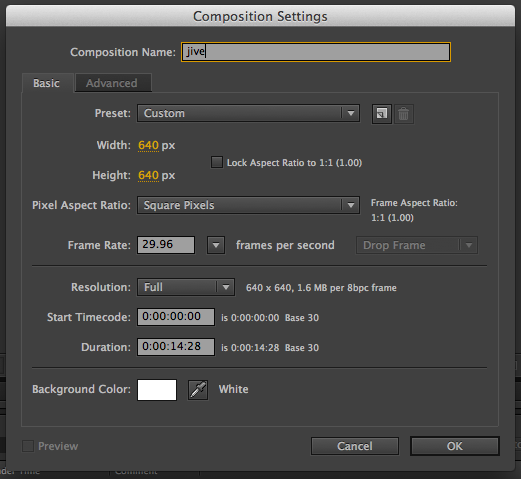 Then, import your prepared video into the After Effects composition. If you are aiming to do the “non-square” widescreen effect I am fond of, scale your video file (assuming your source is 1920 x 1080) to 33.5 percent of the original. This will sit nicely in the center of the composition, appearing to “float” in the Instagram stream. From here, you can actually utilize any and all After Effects tools to further refine your video to your tastes. 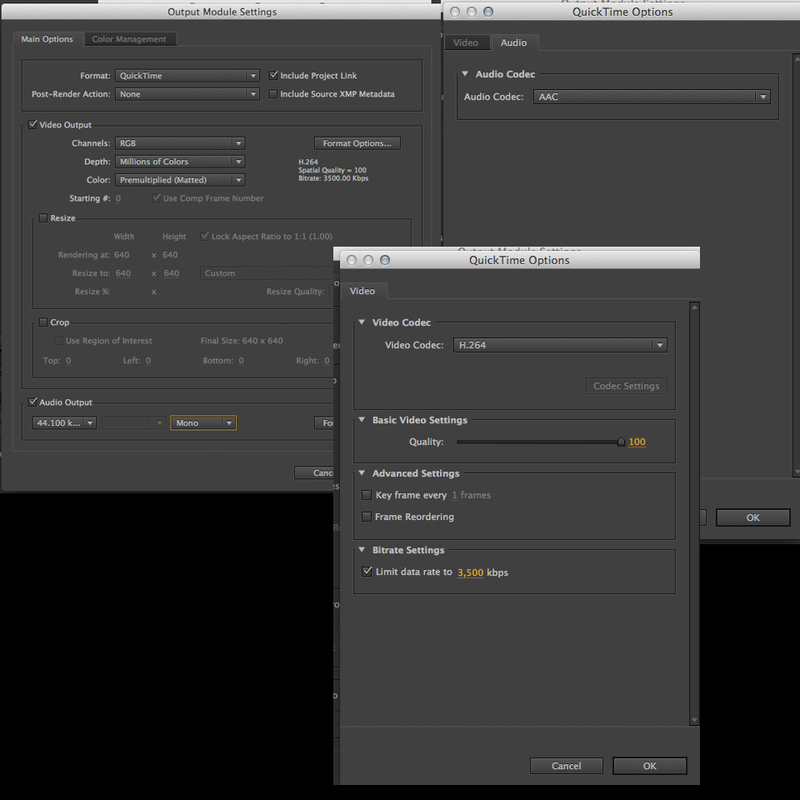 Once completed, add your project to the Render Queue, and then specify the proper render parameters. 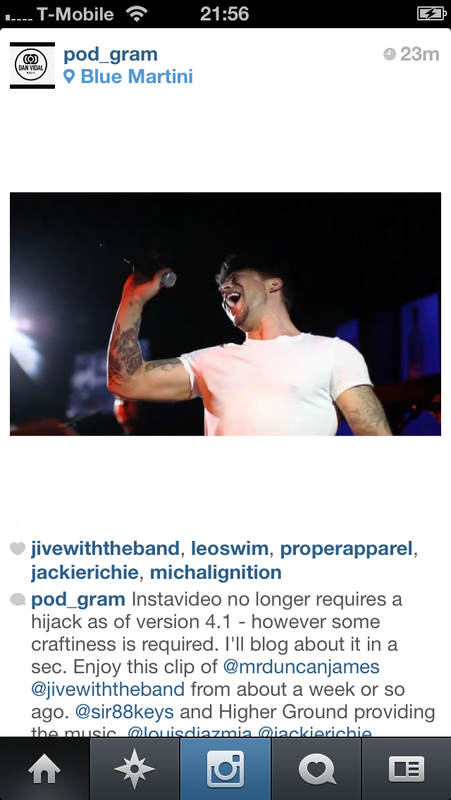 Now, after the render process is complete, upload your video to a location which can be accessed by any web browser. 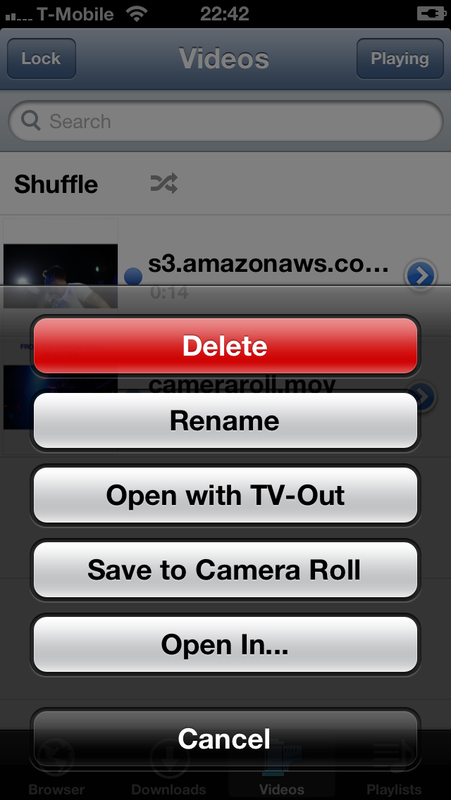 What we’re doing here is skipping the process of using iPhoto to import your video to your iDevice’s camera roll. I recommend using an S3 bucket, but Dropbox or a standard FTP location will work just as well. As long as you can generate an URL, i.e. http://xyz.com/videos/somemovie.mov - you are in business. We’re skipping iPhoto because iPhoto will recompress your video and introduce an unknown variable into this equation. Now, to get the video from it’s location on the web, unfortunately you cannot just browse to it and save, since your iDevice will spawn it’s built-in video player, which does not allow the file to be saved. So, instead, open Video Download + Pro. 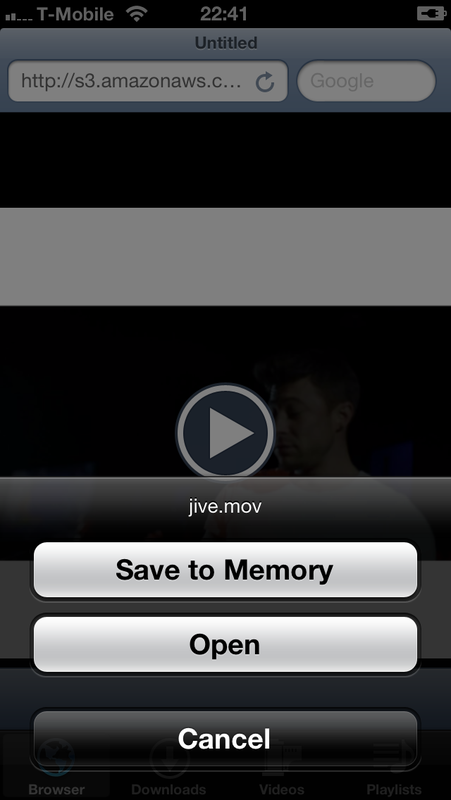 Browse to your video’s URL, then ‘Save To Memory’. Give it a few seconds to actually save to your camera roll, then open up Instagram, and compose, tag, and upload as you would any other media file that Instagram can handle. This is actually great because now video producers can easily share and distribute short examples of their work to millions of mobile device users around the world. While Instagram may be a business unit of the dreaded Facebook empire, it seems they are still somewhat responsive to the needs of users, rather than arbitrarily closing loopholes and harmless exploits.